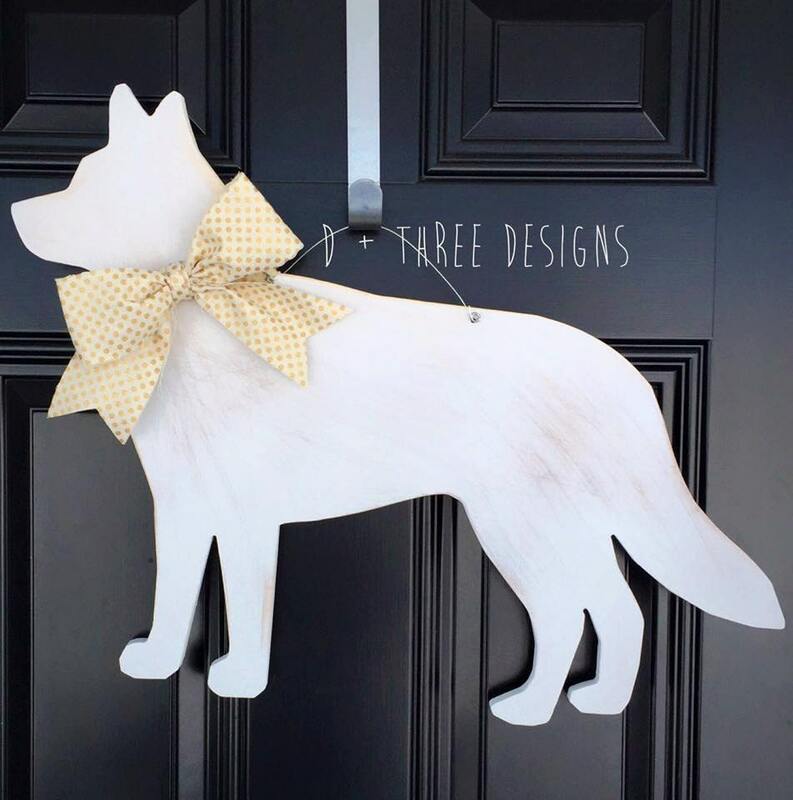 This is our hand painted custom husky wooden door or wall hanger. This measures about 20" tall. We can make these any size! We make all kinds of dog door hangers and wall decor. 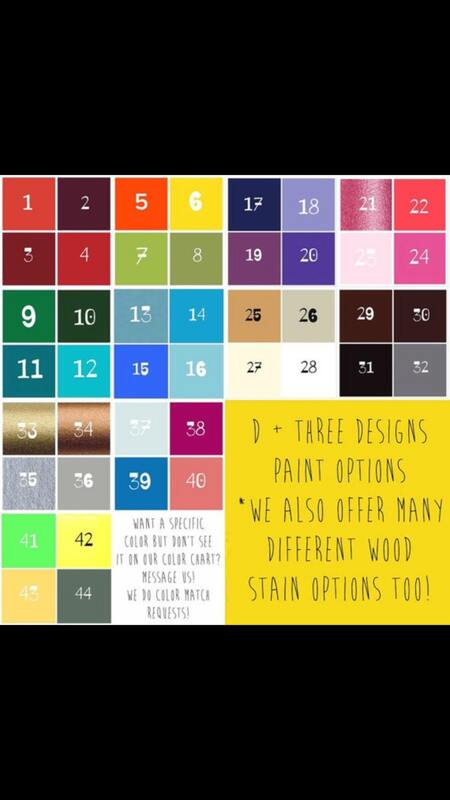 You pick the colors you want for the dog, let us know what color collar bow, and wording you would like or let us pick one to match your paint choice. This is made on 1/2 birch wood, hand painted, sealed, and comes with a metal wire. It is ready for hanging right out of the box! Due to all monograms being custom made and they are NON-RETURNABLE. Upon purchasing this item, you are agreeing to all terms and policies as stated on our policies page. Please note that there may be some variations due to this product being hand painted.